The penultimate day was short in time – only 4 events taking place – but very high indeed in terms of quality. 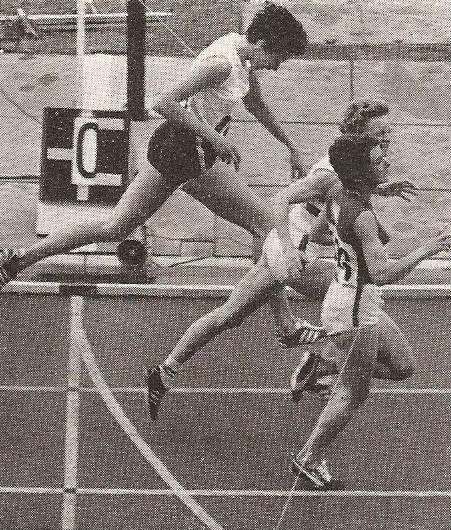 For instance the men’s 800m included Ralph Doubell of Australia – coached by Franz Stampfl, he had won the Olympic 800m in Mexico in 1968. 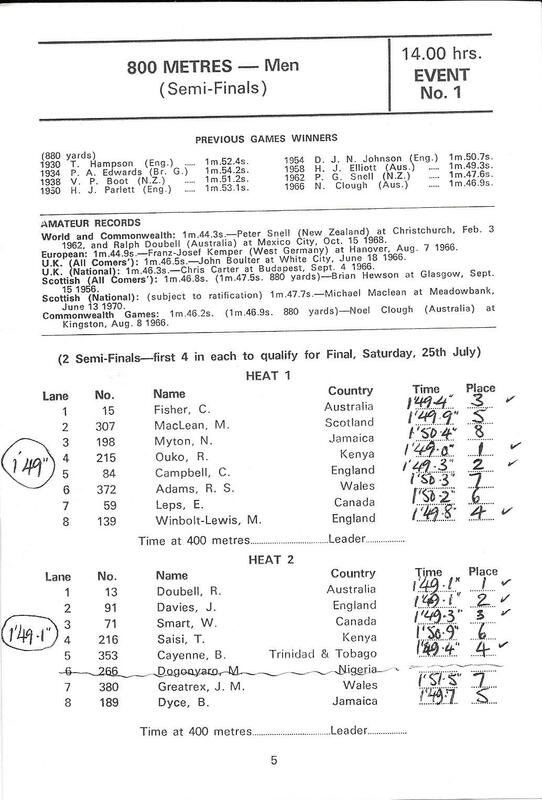 He won his Heat. 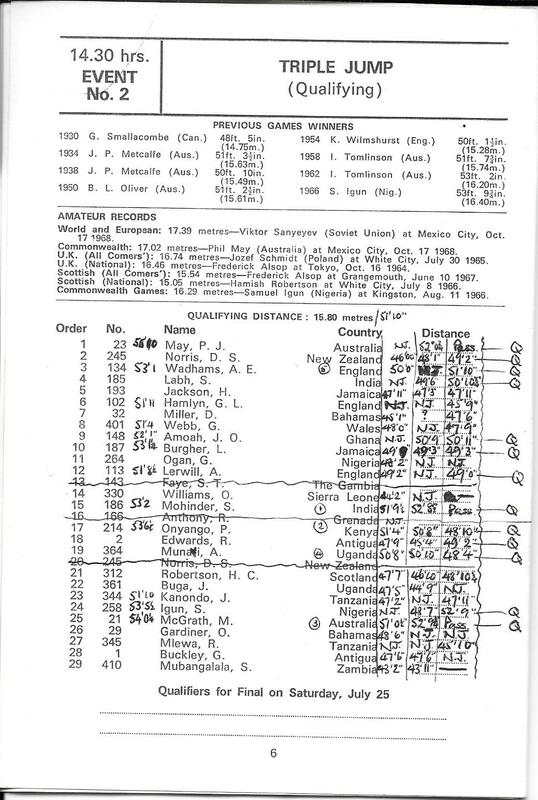 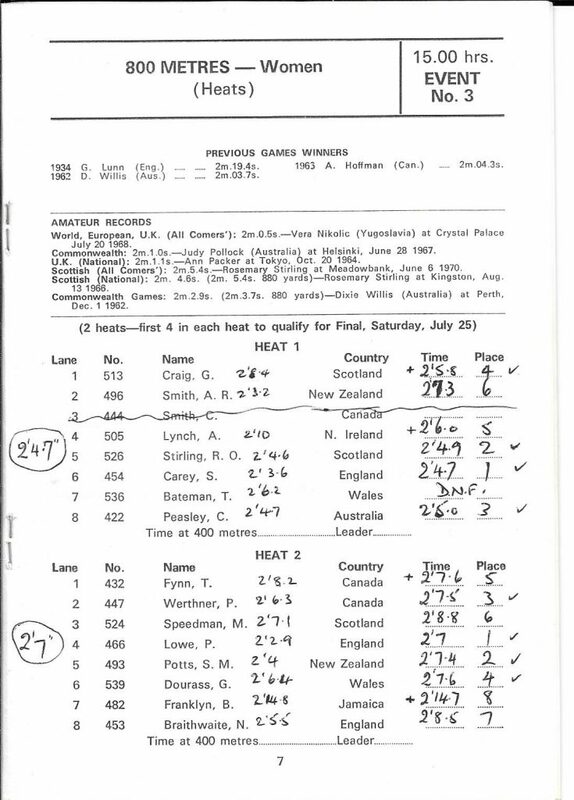 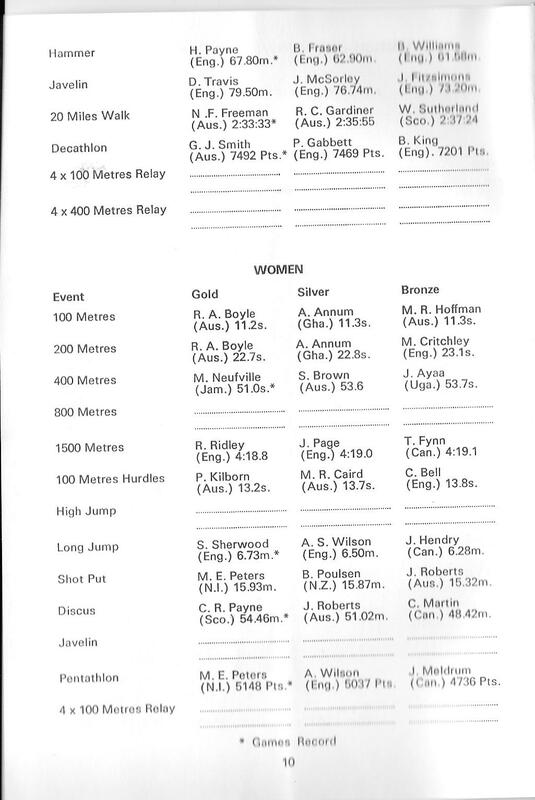 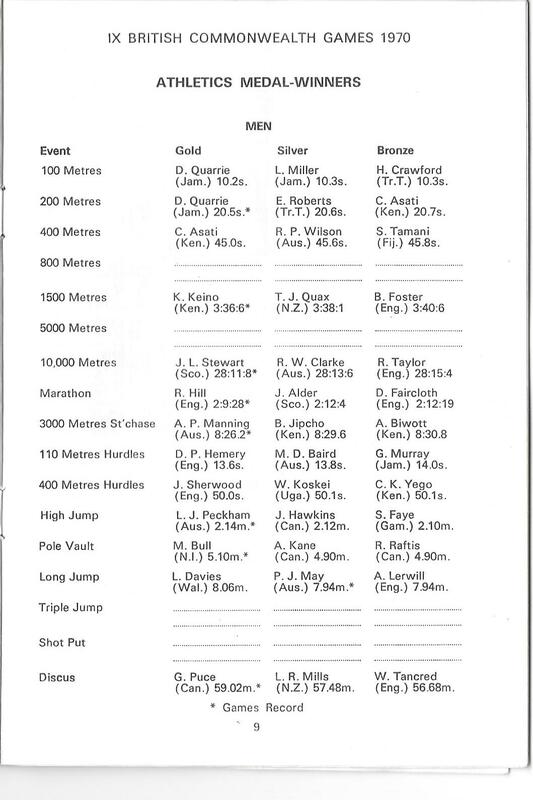 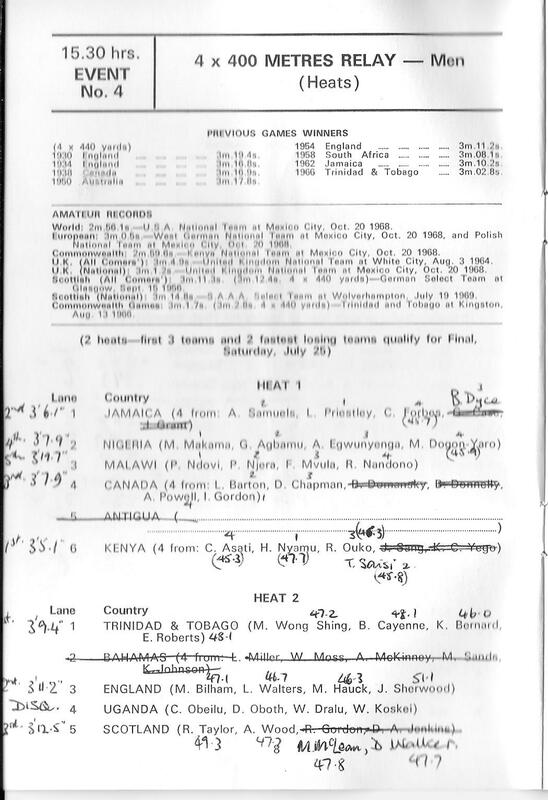 The women’s 800m was equally interesting with Sheila Carey, Noreen Braithwaite and Pat Lowe of England lining up with Rosemary Stirling, Georgena Craig and Margaret Speedman of Scotland with others such as Potts of NZ in there as well.